We are excited to announce the release of our brand new disc which is out on the Albion Label. Edmund Spenser (1552/3–1599) wrote the ode Epithalamion to celebrate his marriage to Elizabeth Boyle on 11 June, 1594, and it was published, along with the related sonnet sequence Amoretti, in 1595. The work consists of 24 stanzas, comprising a series of long and short lines, with each stanza describing a segment of the wedding day. The stanzas conclude with a variation of the pastoral refrain: ‘That all the woods them answer and their echo ring.’ The poet uses 365 long lines, representing the number of days in the year. The voice in Spenser’s Epithalamion is that of the bridegroom, showing care, tenderness, excitement and frustration at the slowness of time before he can ‘come unto my love’. 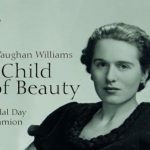 The young poet (and Vaughan Williams’s future wife) Ursula Wood had known and loved Epithalamion since she studied it at finishing school in Brussels in 1928. She understood Spenser’s references to Greek and Roman mythology and responded to the physical and spiritual elements of the wedding celebrations. Ursula had heard and loved Vaughan Williams’s Job whilst a student at the Old Vic in London in the 1932/33 season. In the spring of 1938 she remembered the composer and, whilst living in Westerham, Kent with her then husband, Michael Wood, she wrote a scenario for a folk-ballet on the subject of Clerk Saunders and his sweetheart, Margaret. She found the courage to send this sad tale of love and death to Vaughan Williams at the Royal College of Music. The composer did not warm to this subject so Ursula suggested a new scenario for a work based on Spenser’s Epithalamion. This proved to be a stimulating idea for Vaughan Williams who wrote to Douglas Kennedy (who was acting as a go between for the composer and Ursula) suggesting that the work needed a speaker to recite the lines, which “might be a new art form and interesting”. On 27 April, 1939 The Bridal Day (as the work was initially titled) was ready for a play-through. This was arranged at Cecil Sharp House with Joseph Cooper as pianist, Eve Kisch as the important flute soloist and the augmented Leighton Quartet, including Jean Stewart. Vaughan Williams conducted, narrated and sang the baritone part. He was pleased with the rehearsal and a first performance was scheduled for the autumn of 1939 featuring Ursula as the bride, a part that she “would love to have played.” War intervened, however, and the work languished until Hubert Foss, Head of Music at OUP, pushed for a première performance at Hampton Court in 1953. This did not materialise but the BBC expressed an interest and the first performance was a black and white televised production on 5 June, 1953. Ralph and Ursula (they had married on 7 February that year) felt that this format did not work. This relative failure convinced Vaughan Williams that the Masque should be reworked as a choral piece and this revision was finished in 1957. The speeches and dances were set for an enlarged chorus and, to maintain balance, the string quartet was increased to a full complement of strings. In the revised work, to be called Epithalamion, all eleven sections include the chorus rather than only six scenes from the Masque. This new recording from Albion Records features both versions of the work, with the Britten Sinfonia conducted by Alan Tongue.